Egypt. Cairo. 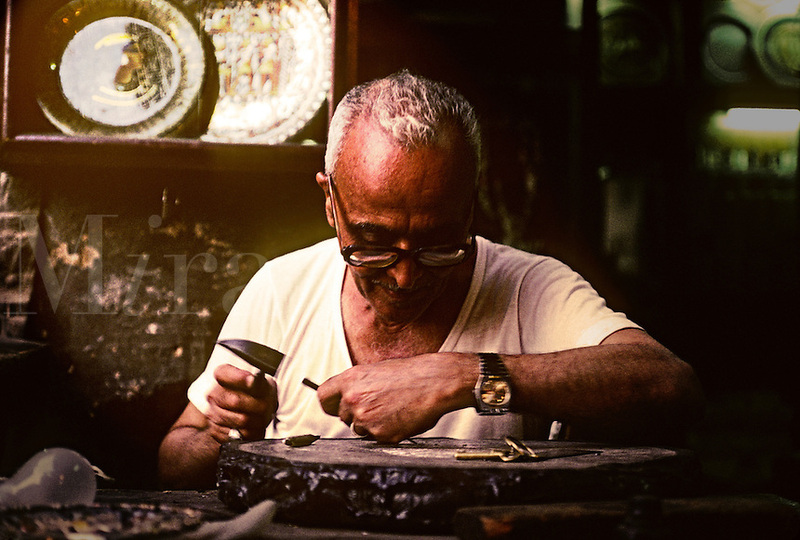 Engraver working on silver in the souk.